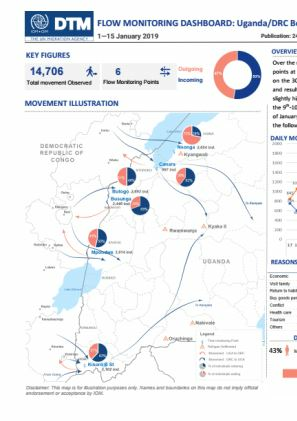 Over the reporting period a total of 17,009 individual movements were observed at six (6) flow monitoring points at the border with the Republic of South Sudan (SSD). The majority (70%) of movements were short term movements of 1 day to a week and mostly for economic reasons and purchase of goods. 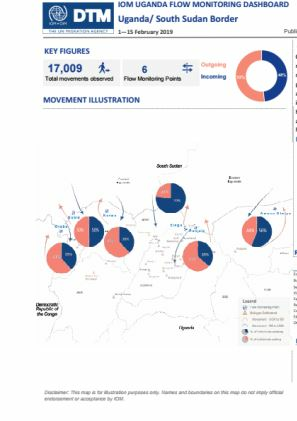 91% of the population tracked at Flow Monitoring Points (FMPs) self-declared as South Sudanese. 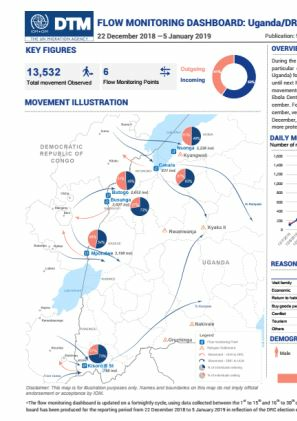 Overall outflows from Uganda to South Sudan were slightly higher (52%) than inflows (48%), however at Elegu and Aweno Olwiyo the incoming movements were significantly higher. 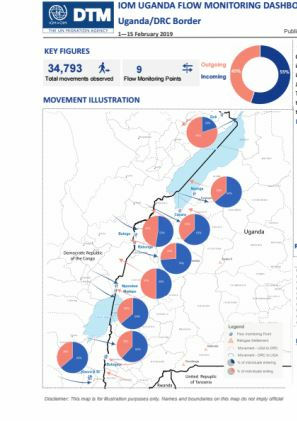 At Elegu FMP, enumerators observed high flows of population escaping conflict in Jonglei and Bahr el-ghazal. 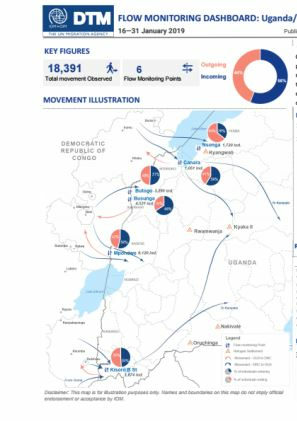 Also, as the school term re-opened in Uganda, many young people at all FMPs have been observed crossing into Uganda.